FB, did you retire Storm Sewer Runoff? I went to buy it, and it was gone from your store. It didn't look old to me. Hi xyer0, I did retire it. There's usually a few possible reason I might retire a product. I think I have already retired 10 products. 1. Just plain old. As artists, we're always learning as we make new items and some of the earlier work just has too many old techniques that have evolved through the years. Old poser, 3DL only, Not really fixable so retirement is the only option. 2. Not up to my standards anymore. Its important to keep a critical eye on the content because it reflects on the overall brand. Again, every set teaches something so its an endless learning curve. If a set doesn't reflect my work output today I can be pretty brutal on myself so its history. 3. Just didn't sell well. Don't need it cluttering the store or reminding us of the hours that went into it that wont be recouped. 4. There's a replacement set on the way, and rather than keeping the old set in the store make space for the replacement with a bit of a time buffer so customers can look forward to the new item rather than cursing buyin the old one. I think number 4 applies here. In case anyone is wondering what product we're talking about. Good to know there shall be a modern version! Something like that, where we can create our own twists and turns (vertical, as well as horizontal), could make for some excellent horror and science-fiction art. Ideal for ship or even spaceship engineering ducts, too. Thanks for the detailed explanation, FB. And where, in the midst of building cities and such, can you find time to make it? 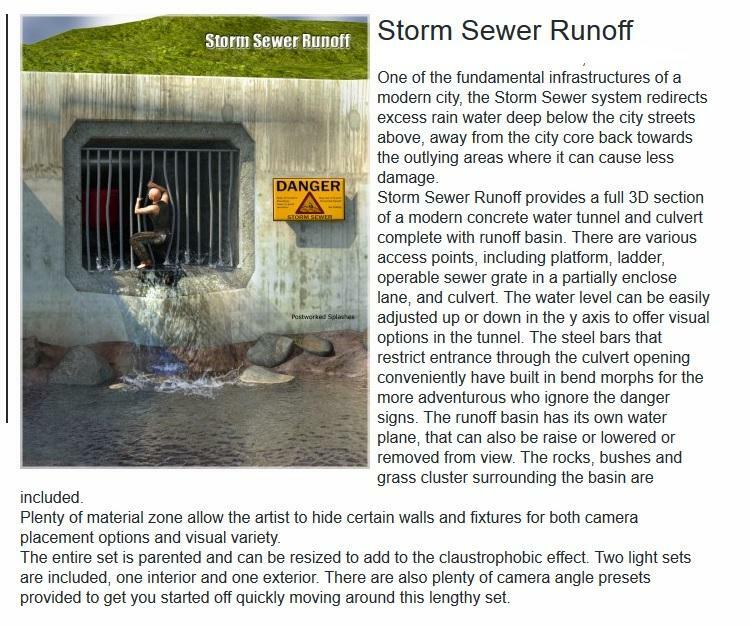 I needed a manhole-accessed tunnel, and Storm Sewer Runoff was the best-looking option. So, please, if you can, provide an exterior (street pavement) and interior of the manhole like you did with SSR. Thanks again for your great products. That brings back memories. SereneNight mentioned on one of my earlier threads (Art Studio) years ago, about how great that product was for the water, and I think a desert (the textures under the water, when the water was removed.) Good to hear something newer is coming, for the folks who didn't get it. Well, one of the first sets I bought from you were The Neighbour's Yard and the three Gallerie sets. Even though they are still available, I hope you are planning on updating those as well, especially for Iray. Way back when I was first learning 3D modelling, I modded a video game called Aliens vs Predator 2 making multiplayer maps and thing so I'm well versed in vents and ducting (though the amount of details back then were minimal) . I could definitely try to put something together for DS. I will look into iray updates for these. i'm already conflicted, trying to figure out who to render working the door. maybe a george/ivan crossdial...hmm. Just finished an Iray update for the Gallerie Bastion set. I'll be uploading the files to Daz tomorrow, how fast it goes through QA is anyone's guess, but it's done, looks alright, and will be a free update in your accounts when ready. I also closed off that one empty wall in the back corner and added some ceiling emitters to help balance out the light. There's also a new 3Delight version included. Would be very useful to have new Iray stuff with that kind of an engineering aesthetic. Particularly if in modular form, so that we can put vertical and horizontal turns wherever it's necessary. Would imagine that should probably work really well with Sickleyield's fluid and smoke effects. Maybe some optional rigged access doors and fans and on/off emissive lighting? Just finished an Iray update for the Gallerie Bastion set. Oh, excellent! I've tried fixing the Gallerie up for Iray a few times, but I could never quite get the stone gloss and the lighting the way I wanted it. Looking forward to this. There's also an Updated 3Delight scene in there as well, lights and all. I have to ask a question: Is there much demand for the 3Delight versions anymore, or have we moved on to iray for the most part? I'm probably the only one still using 3Delight. If I want to use night time or indoor lights turned on, I render with Luxrender via Reality 2. No extra shaders or textures required to be purchased. Anything can be changed into a light using Reality as well. I am able to change those anyway with Reality from Pret-a-3D. One of the things I like a lot about your products besides their artistry is that they work well in 3Delight and Luxrender. If you have to move on to Iray to pay the bills then that's what you should do. Cool! It needs a lot of set dressing for the walls—every club I've been to has walls covered with grafitti and show bills. But I could see that would be hard to pull off without potential copyright issues or coming up with lots of different band names and pictures/logos. 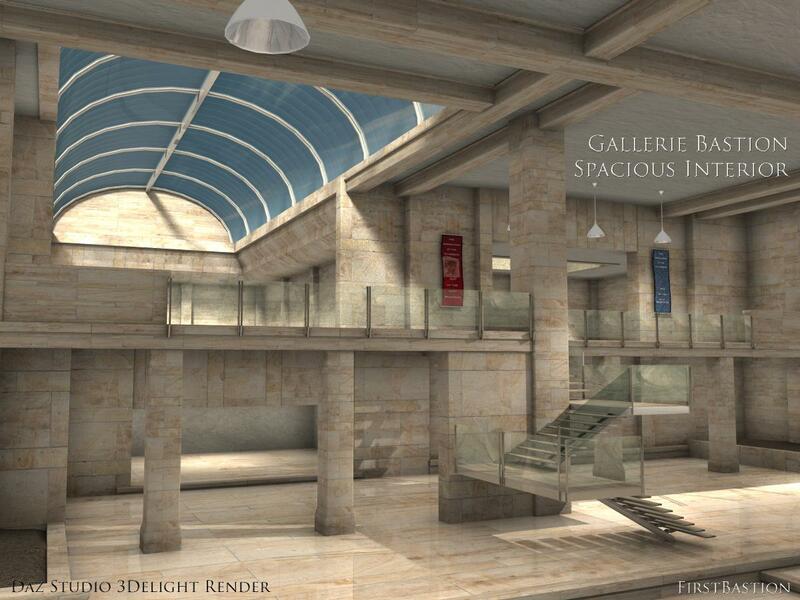 I still use 3Delight, but iray-only products bother me less and less. I will have to make the move at some point. As long as there is some demand for it, I'll still be providing the 3DL versions, I'm just thinking out loud and planning for next year. There's 3 products sitting in the queue awiting release right now and they're both versions. I do think that the promo images for future products starting in the new year will focus on Iray though. But the 3DL preset will still be included for the foreseeable. I built a courtroom. might be a bit niche, but I got one of those jury duty notices in the mail and it triggered the build. You just never know what's going to develop into something. Wonderful! Thank you for the free update as well. Very nice indeed. It made me think of a townhall, hopefully this can be adapted to create one? The reason I'm asking is because it made me think of the song They Shoot Horses, Don't They by Racing Cars. I still use 3Delight and very rarely buy products that only come with Iray materials (I believe I've only bought one such product). ETA: Correction, I've bought two, although one of them I wouldn't have bought if I'd realized -- it was part of a bundle of two products and I would have bought just the other item if I'd realized while the sale was still on. The high windows go with the outside police station you did. Could change that sign to superior court. The inside walls would be concrete and carpet would be bleak grey. I like all this wood though and paneling. Lower windows more appropriate for wood. Is it the same in Toronto or is this your freestyle take on a room? 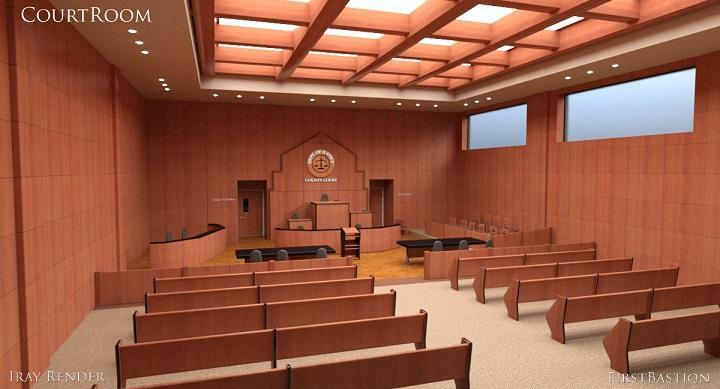 I have the Dystopian Tribunal and another courtroom that has the lower windows as well for less severe cases. I can probably mix the three. Looking forward to this. Thanks William, That does help, i've been debating between your 1970's and 1950's motel, they both appeal to me for different reasons. From a story telling persepective, I like the Norman Bates creepiness feel of the 1950's motel a little more I think. I'm sure I can create a decent enough interior set with my existing furniture so if you can't find the add-on thats ok. I was just wondering why I couldn't find it. I copied or moved the curtains from one room to the other room where I want them to open or close. I was looking at this court room scene again and notice you have a visual theme going that repeats with the tunnel and highway too. Now that you have done this interior, I find it goes well for other sections of the police station. Different from the ten rooms. Any plans? Otherwise, I'll have to dig around for some Lethal Weapon furniture and privacy walls. If I'm remembering, the few courtrooms I attended were full interior rooms with no windows at all. Generally painted plain biege. Really boring. There would be windows in the hallway leading to the 5-6 courtrooms aligned next to each other. But I'm always thinking how to cast some light into the interior so the windows made sense for this. I always try to tie things together, so yes definite visual connection with the police station exterior. As you mentioned change the signage and retask the use of the set. 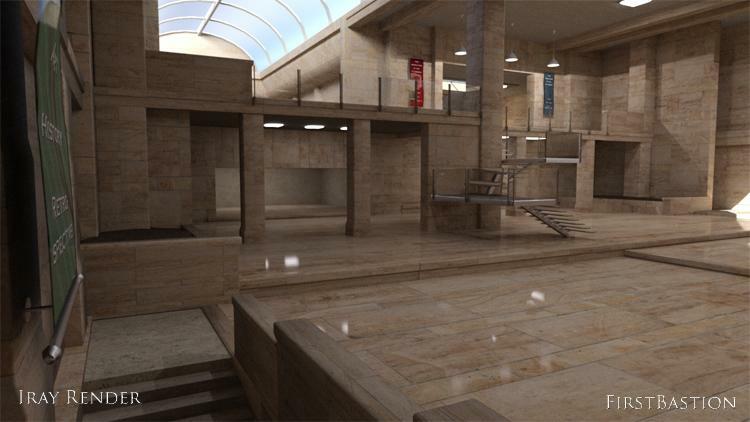 Ten Rooms will probably get an Iray update too. And I do plan to get around to building a modern office set at some point. I mostly use Iray, but I've been playing in 3DL a lot more lately. I'm determined to master that sucker! I am getting better at using it, but I will probably always prefer Iray. However, I'm one of those who doesn't mind doing the conversions back and forth between the two myself so I'm okay with either. I've read a lot of people in the forums who are die hard 3DL fans who refuse to use Iray for whatever reason and they all have different reasons. For some, it is equipment and for some they just like the results they get in 3DL better. You'll probably keep a lot of customers by offering both Iray and 3DL mats. Thanks Knittingmommy I do appreciate your point of view. The one thing I do like about 3DL is how easily displacement can add detail and depth to a shot. That's something that works extremely well in Vue as well. It the one part of Iray that's not as easy to pull off, that forces more resources be it either HD morphs or subdivide polies to the extreme. That's the one thing about 3D, there's always tradeoffs. I still use both and probably will for the forseeable future. 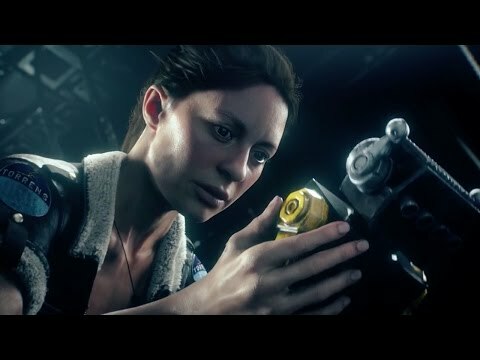 I think I found daz right around the time Iray came out, maybe just a hair before. I know I started in 3Delight right before Iray was available. They are both useful, depending on what you are going for.